You’re a Wizard (Again) Harry! Daniel Radcliffe is back in the world of magic! Well, sort of. He’ll be in a film about magic, but not the kind where you wave wands, cast cool spells, and fight the forces of evil. The kind of magic he’ll come across is one performed with props, such as cards, and is a form of entertainment performed at parties and on stages in cities such as Vegas. Daniel Radcliffe will be facing the likes of The Four Horsemen in the upcoming sequel, Now You See Me 2. For those of you who haven’t seen the first movie, The Four Horsemen is a group of magicians comprised of J. Daniel Atlas (Jesse Eisenberg), Merritt McKinney (Woody Harrelson), Henley Reeves (Isla Fisher), and Jack Wilder (Dave Franco). Through a series of shows utilizing different forms of magic, they robbed individuals who made a fortune from others’ misfortunes and gave the money back to the people they stole from. They disappeared by the end of the first movie and now reappear in this sequel to continue the magic they started. However, the tables are turned on them this time as a tech magnate performs the magic on them. This is where Daniel Radcliffe comes in. Radcliffe’s character, Walter Mabry, is the tech magnate that whisks The Four Horsemen on a rooftop in NY to a restaurant in China. He captures The Four Horsemen and coerces them into using their skills to steal a piece of technology for himself. Now The Four Horsemen must find a way to turn the tables back in their favor or stay under Mabry’s thumb. I’m excited to see this movie because I, myself, dabble in sleight of hand magic as a hobby and am curious to see how the second film in this series will add to the presentation of magic in the film medium. On top of that it’ll be interesting to see where these characters are after the first film took place. One notable difference is a change in team members. Due to Isla Fisher being unavailable to act in this film, her character, Henley Reeves, was replaced by Lula (Lizzy Kaplan). We don’t really know much about her, so we’ll have to see what her backstory is when this film comes out. From the footage shown in the trailer it definitely looks entertaining on an action level. It’s interesting and entertaining to see how they mix in magic into the action/thriller genre in film. As someone with a handful of knowledge about sleight of hand magic I have to say the magic presented looks good enough, but I’m not sure if everything presented are the type of effects one would experience if they were sitting in a show watching magicians, such as Penn and Teller, perform. Some acts seems over-the-top, extra flashy, and designed that way solely for the purpose of this film and the story it has to tell. Perhaps there’s a time and place to over-exaggerate mediums, such as magic, when you present them in film so that you can present material to keep the audience engaged. At the very least it’s nice the topic of magic is getting exposure in film. I’ll definitely be watching this film when it comes out. 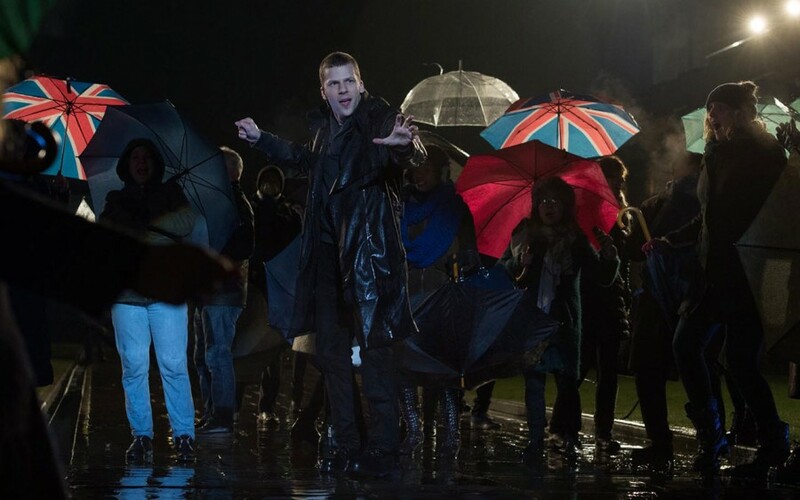 Now You See Me 2 comes out on June 10, 2016 and I’ll have to wait till then to see what magic awaits to be seen in that film and how many jokes it might crack about Daniel Radcliffe being associated with magic in Harry Potter. You know they won’t miss an opportunity to do that.